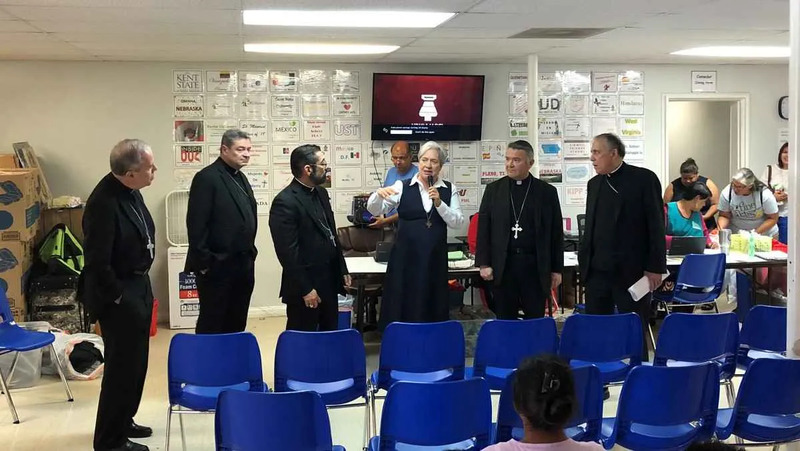 McAllen, Texas, Jul 2, 2018 / 06:27 pm (CNA).- Immigration reform requires seeing the faces of immigrants, and hearing their stories, according to five U.S. bishops who have completed a two-day pastoral visit to the U.S. border with Mexico in Texas’ Rio Grande Valley. “When you have the opportunity to sit down with a family…labels melt away,” Bambera said. “It’s a global reality…we all are participating in the same humanity and we are together trying to find the solution to this situation,” Gomez added. Migration and sustainable development – what’s the link? New York City, N.Y., Jul 26, 2017 / 12:05 am (CNA/EWTN News).- Why do people migrate in the first place? And what if there was a way we could address the international crisis better by going after the root problems? A priest at the United Nations spoke of the connection between migration and sustainable development, calling on the international community to help make migrants’ homelands safer and the immigration process more welcoming. Fr. Czerny’s words were addressed to the UN session titled “Contributions of migrants to all dimensions of sustainable development: the linkages between migration of development” on July 24 at the UN Headquarters in New York. Birmingham, Ala., Mar 27, 2017 / 04:01 pm (CNA/EWTN News).- It was September 1987, and Pope John Paul II had just arrived in Los Angeles after traveling around the United States. The Pope was greeted in the City of Angels by a closed-door meeting with a group of progressive bishops who had a bone to pick with several Church traditions. “Women seek…(a church) that teaches and shows by example the co-discipleship of the sexes as instruments of God’s kingdom. They seek a church where the gifts of women are equally accepted and appreciated…where the feminine is no longer subordinate but seen in a holistic mutuality with the masculine as forming the full image of the Divine,” he said. 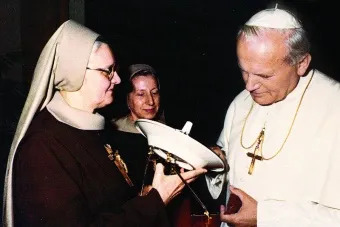 Meanwhile in Alabama, a woman of the Church named Mother Angelica had just thrown her cable network, which reached more than 2 million homes at the time, into 24-hour coverage territory. During the 1987 papal trip, the EWTN Network took on the then-unprecedented task of live, unedited, constant coverage of the Holy Father’s visit. And when word reached the spunky nun of the Milwaukee bishop’s remarks to the Pope during the trip, she couldn’t help but chime in with her opinion. “Women in the priesthood, that’s just a power play, that’s ridiculous,” Mother Angelica said the next day. “As it is women have more power in the Church than anybody. They built and run the schools. God has designed that men be priests, and we can’t afford to deny God his sovereign rights,” she said, as recalled in her biography by Raymond Arroyo. If anyone has any doubts as to whether ordination is necessary for leadership and influence in the Church, they need look no further than the media mogul nun herself to be proven wrong, said Catholic talk show host and media consultant Teresa Tomeo. “Not only was she a prominent international media personality, because of her work on air and her great shows, but she was a foundress of a major religious network and she was a CEO of that network while being on the air, which is something that few women in the secular world accomplish,” Tomeo told CNA. In 1981, at a time when women were still struggling for places of prominence in the world of broadcasting, Mother Mary Angelica of the Annunciation launched Eternal Word Television Network, which today transmits 24-hour-a-day programming to more than 264 million homes in 144 countries. What began with approximately 20 employees has now grown to nearly 400. The religious network broadcasts terrestrial and shortwave radio around the world, operates a religious goods catalog and publishes the National Catholic Register and Catholic News Agency, among other publishing ventures. She’s breaking barriers that these powerful women in secular media can’t even touch. Besides founding EWTN, Mother Angelica is also credited with building a monastery, a shrine, and establishing two religious orders. Mother Angelica passed away on March 27, 2016 after a lengthy struggle with the aftereffects of a stroke. She was 92 years old. After her passing, the praises of Mother Angelica were sung from both the secular and Church media, with many recognizing her as a strong example of female leadership. Archbishop Joseph E. Kurtz of Louisville, Kentucky, president of the U.S. Conference of Catholic Bishops, remembered her as a “devout believer and media pioneer” in a statement following her death. “Mother Angelica reflected the Gospel commission to go forth and make disciples of all nations, and like the best evangelists, she used the communications tools of her time to make this happen. She displayed a unique capacity for mission and showed the world once again the vital contribution of women religious,” he said. Her vigorous leadership and vision in a Church with all-male clergy came from her security in knowing her identity before God, Tomeo added. “Bottom line is that she knew who she was in Christ, she knew that she was designed in the image and likeness of God, that we’re male and female, we’re equal but we’re different,” she said. Mother Angelica doesn’t stand alone in the line of formidable female figures in the Church, either, Tomeo noted. She succeeded other spiritual giants like St. Teresa of Avila and St. Catherine of Siena, and is joined by other women in the contemporary world, who are working to make a difference in the Church. For years to come, Mother Angelica will be remembered for her authenticity and punchy humor, and her ability to preach the Gospel with love, Tomeo added. “She was funny, she always gave me hope that no matter how many mistakes any of us make, God is always going to allow us to come home,” she said. This article was originally published April 1, 2016. Washington D.C., Jun 22, 2017 / 12:04 am (CNA/EWTN News).- With the justice system rife with abuse, there is still much work to be done to call the faithful to minister to prisoners, victims, and their families, Christian leaders maintained on Tuesday. 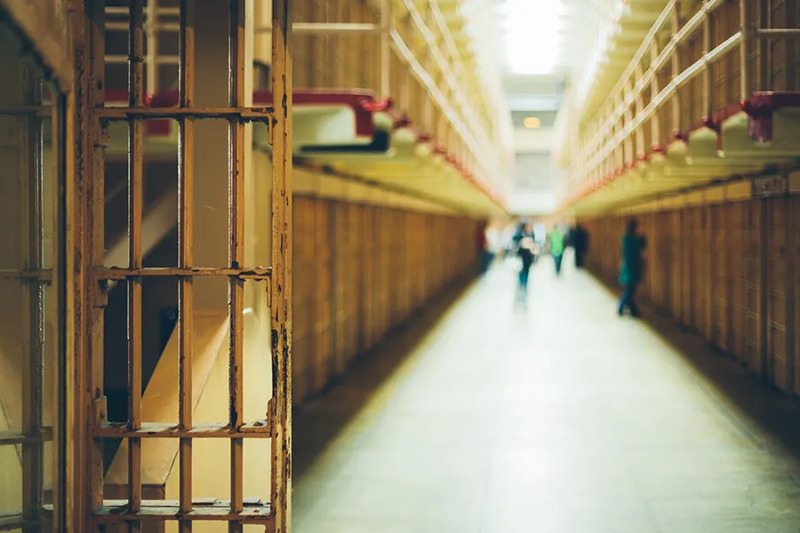 “We need to raise this as a priority within the Church,” Karen Clifton, executive director of the Catholic Mobilizing Network to End the Death Penalty, told CNA of criminal justice reform and ministries to prisoners and their victims. “Our Pope has been very outspoken about that, and spoken numerous times about our need to visit those imprisoned, and then accompany and journey with those that are affected by crime, all aspects, the perpetrators family, and the victims’ families,” she continued. Clifton was one of a number of Christian leaders who spoke out against injustice in the justice system during a June 20 press conference at the National Press Club in Washington, D.C. 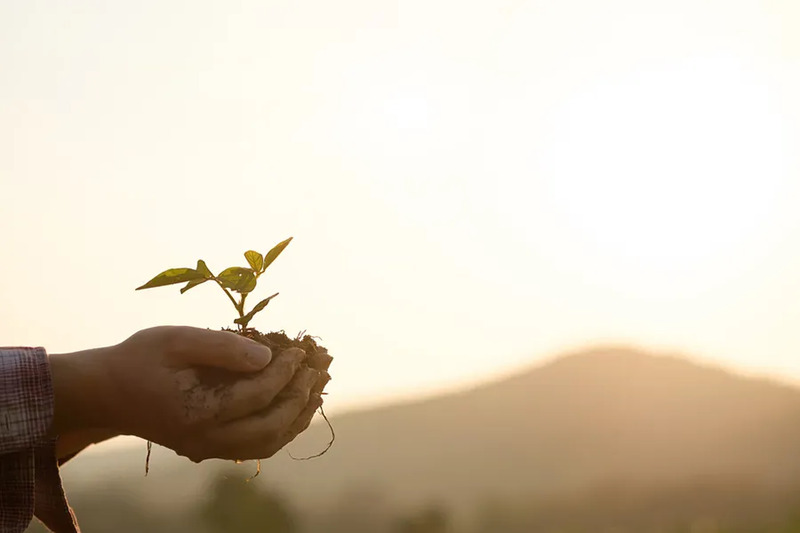 It also calls for Christians to be more active in advocating for more humane conditions in prisons, “proportional punishment” for offenders, better educational and economic opportunities for poor people as crime prevention, and to “invest in the discipleship” of prisoners. Christians must “treat every human being as a person made in God’s own image, with a life worthy of respect, protection, and care,” they stated. “The Church has both the unique ability and unparalleled capacity to confront the staggering crisis of crime and incarceration in America and to respond with restorative solutions for communities, victims, and individuals responsible for crime,” the declaration said. Bishop Frank Dewane of Venice, chair of the U.S. bishops’ domestic justice and human development committee, is among the signatories, along with Karen Clifton. Over-incarceration, racial disparity, and disproportionate sentencing are only some of the injustices that underscore the urgency for reform of the justice system, panel members insisted. The U.S. is home to five percent of the world’s population, but holds 25 percent of the world’s prison population. 2.2 million are behind bars, leaving 2.7 million children with an incarcerated parent. African-Americans are incarcerated at a rate six times that of whites, according to the NAACP. 65 million Americans suffer from the collateral consequences of a conviction, which include difficulty in finding a job or renting a home even after they serve their prison sentence. All this has produced a “crisis” to which the Christian community must respond, the leaders insisted. Criminal justice reform measures had been gaining bipartisan momentum at the federal level as members of Congress in both parties supported various policies like ending mandatory minimum sentencing and limiting the use of solitary confinement in federal prisons. However, with the advent of the new administration that momentum has slowed. Attorney General Jeff Sessions dropped the Obama administration’s “Smart on Crime” initiative and has directed prosecutors to pursue stricter mandatory minimum sentences, which reform advocates say gives judges less flexibility to adjust one’s sentence based on the details of their case. “We believe that it removes from the judge the ability to do his or her job,” James Ackerman, CEO of Prison Fellowship Ministries, said on Tuesday. However, in the same poll, 53 percent of practicing Christians answered that “it’s important to make an example out of someone for certain crimes” even if that entailed punishing them more harshly than they deserved. “Disproportional punishment is not consistent with our values,” Ackerman stated. How can the Church better bridge this “disconnect” in polling answers? The Church must educate laypeople on the importance of the issue, and mobilize them to act through parish ministries, Clifton insisted. “I want to say, ‘where are our resources?’” she asked. “There is so little funding for prison ministry, for care for victims, for programs for victims,” she said, and for incarceration prevention programs. Russell Moore, president of the Southern Baptist Convention’s public policy arm, agreed. “Our criminal justice system exists in order to restrain evil, and in order to rehabilitate and to reform those who have committed crimes,” he said. “When we have family members who are left behind, waiting for those who are incarcerated and wondering if anyone remembers them, the church of Jesus Christ needs to be at the forefront of that,” he said. Harry Jackson maintained that Christians must be actively fighting the racial disparity in the justice system. No indication that these five reminded the illegal aliens that they are obligated to obey the law, just as the Catechism states, not to violate the Seventh and Tenth Commandments or that the parents of the 10,000 children who were sent unaccompanied need to stop using their children as pawns and endangering their welfare. Not to mention the ones who are with adults who aren’t their relatives. As to the fixing-the-problems-in-their-home-countries: Just how is the United States supposed to do that? Aren’t the same people calling for us to solve those countries’ problems the same people who have hissy fits when we intervene in other countries? I agree. Keep them together – send them all back across the border immediately to Mexico. They should all return to their homes and families – and cease their invasion of the United States. There are many Filipinos who are running away from poverty and violence but they obey US immigration laws by filing the proper documents, paying the fees, being strictly vetted, proving they have no police records and are healthy, and are willing to assimilate into the culture and support themselves economically once they get into the U.S.
And still they are made to wait 15 – 20 years at the LEGAL immigration line. Filipinos too, are Catholics, yet no Bishops show any support to those who follow the rules. Only the Latino lawbreakers get helped by the Church. Bishops don’t lobby for shortening the waiting period of those who obey the law. If you arrive at the Los Angeles airport without a passport or any identification documents, you’re immediately sent back to where you came from. But if you arrive at the southern border with no document whatsoever and with your entire family yet, you’re taken in right away, re-sheltered, fed, clothed, educated, and shepherded into U.S. society. That’s social justice? How is that fair? These bishops are smooth talkers, very simple but charming.